Smartphone can be used for multiple purpose. Alongside with entertainment we can also use it for educational purposes. Android phones are also popular among college and school students. Because its easy to take notes on notepad apps. Also many apps are available for different educational aspects. Like we already wrote about dictionary apps for android. In the same way to boost general knowledge there are many android apps. With the help of these apps student can study even when they are out of home, traveling and even when they have no books for study. General knowledge apps for android save the cost of buying hard books. Best reason for choosing these are is, We don’t need to visit multiple sites and spend time for exploring useful stuff. Android general knowledge apps provide various features which solves all those issues. List Of Best General Knowledge Apps For Android. 4. Daily Current Affairs And GK. 6. Aptitude Test And Preparation. 7. GK Current Affairs Quiz. 10. GK For SSC, IBPS & IAS Exam. Wikipedia is one the most popular non-profit encyclopedia. It is also available on google play store for free. It provides general knowledge about all the world. Wikipedia contains 32 million articles in 280 different languages. It also shows the location which is in the article in Google Maps. This app also provides searching facilities and pick description from wiki data. It requires Android 4.0 and higher version of Android. Approximately 50 million users have downloaded this App. Daily Hunt is another popular app in all general knowledge apps for android, which provide user information About the daily news and current Affairs. It supports many different languages. It also provides e-books, daily news on regular basis. One user can also select many different languages. Daily Hunt is one the best way to increase general knowledge. It require Android 2.0 and higher versions. Approximately 50 million users have downloaded this App. iProf is amazing android app which provide more than 35000 courses in each and every field. You can download and start your course. It provide course for GK, programming languages, maths, physics, chemistry, computer software etc. It is another good option to choose in all general knowledge apps for android. Approximately 5 million users have downloaded this App. It requires Android 4.0 and higher version. It is one app for all types of courses. Daily Current Affairs And GK is another popular in list of general knowledge apps for android, which also provides you the current Affairs on daily Bases. It provides general knowledge in Hindi and English. This app also give you a practice of multiple choice question paper. It enables us to check our progress on daily basis and we can also check our weak and strong areas. Approximately 1 million users have downloaded this App. It is one of the best in all android GK apps available on Google Play store for Free. It provide 32000 plus general knowledge Questions. One of its Best features is that it do not require internet connection. In this App you can continue from the current question where you leave later or you can directly jump to that question. It require Android 2.2 or other higher versions. Approximately 1 million users have downloaded this App. It is one the awesome aptitude test and general knowledge app which is available on Google Play store for free. It enables us to select questions in different categories. Questions are added on regular basis. It is best suitable for engineering and medical students. It also include logical reasoning question with detail description and formulas. Approximately 1 million users have downloaded this App. GK Current Affairs Quiz is an awesome app for general Knowledge. It is available on Google play store for free. It is one of the best way of passing time and increasing our general knowledge. This game provide you score for each level. This game updates its question bank daily. Its is recommended in all general knowledge apps for android. It is suitable for all quantitative exam. It require Android 2.0 and higher version. Approximately 5 lakh users have downloaded this Apps. GK India is one the best General Knowledge App about India. It is available on Google Play store for free. It is best suitable for those users who prepare GK test for Indian Govt jobs like Railway, Army, Navy etc. This app requires Android 2.0 or other higher version.This App contains more then 3000 general knowledge Questions. Approximately 5 lakes users have downloaded this App. 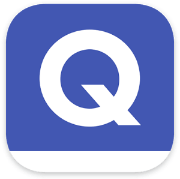 Quizlet is rather an excellent app for learning. It uses a flashcard system to induce interactive learning via smartphones. You can make even study offline with this all because it has an on the go mode. Quizlet syncs all your progress to your connected devices via your account. 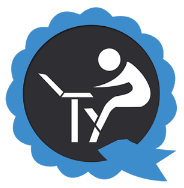 This makes quizlet a great choice for students. If you are preparing for any government exam, then this app is a must have. It rather contains all the course syllabus, Latest Current Affair, IBPS Bank PO exam material, CLAT Exam , Railway Exam, AO Insurance Exam and other Competitive exam GK study material. These are best general knowledge apps for android, where we easily access latest current affairs and all stuff to boost awareness.